Are your muscles tense, knotted and sore? Do you need a break from the rush of modern life to relax, unwind and recharge your batteries? Got a nagging injury that's getting you down? Remedial Massage loosens and softens tired, aching muscles and energizes weak muscles. It eases soreness and chronic tension caused by stress, sporting activities or sitting at a desk all day. It's a soothing, healing experience that's suitable for all ages. At Tension Release our therapists based in our St Kilda Road Melbourne clinic will assess each client's individual needs to determine the treatment required. Depending on your needs, the treatment can be gentle or strong, deep or shallow, with problem areas receiving extra attention. For chronic injuries, we sometimes recommend corrective exercises or stretching techniques. All our massage therapists are fully accredited and experienced, which means that you're literally in safe hands. It also means that if you have private health insurance that includes extras cover, you may be able to claim a rebate. 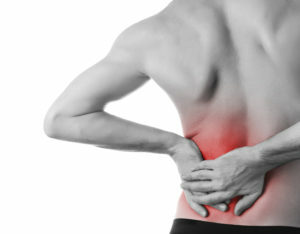 Want More Information about the Benefits of Remedial Massage? Even if your muscles aren't sore, a Remedial Massage offers total rejuvenation and a feeling of well being. If you'd like to book a massage treatment or just want to know more about it, please call Tension Release on (03) 9863 7011. You can also book online by filling in the form on the left. Remedial Massage focuses on the deeper layers of muscle and connective tissue. It involves friction techniques as well as stretching and kneading of the muscles. It repairs both the cause of the disorder and the symptoms, helping the body to heal itself. Muscles can contract from overuse, but also from under-use. Muscles can't work properly when they're contracted, and this style of massage is ideal for softening contracted muscles. Research shows that Remedial Massage can address many muscular and skeletal problems. These include arthritis, frozen shoulder, muscular cramps, whiplash, muscular atrophy, sports and dancing injuries, tennis elbow, whiplash, neck and lower back pain, scoliosis, spondylitis, headaches and sports injuries. Not sure if Remedial Massage is what you need? Call us on (03) 9863 7011 for a consultation.